The Foster 61727 Keencut 75" AZTC Hot Cut System saves time and money. Foster Keencut AZTC Hot Cut System offers a standard of straight, square and clean cutting. 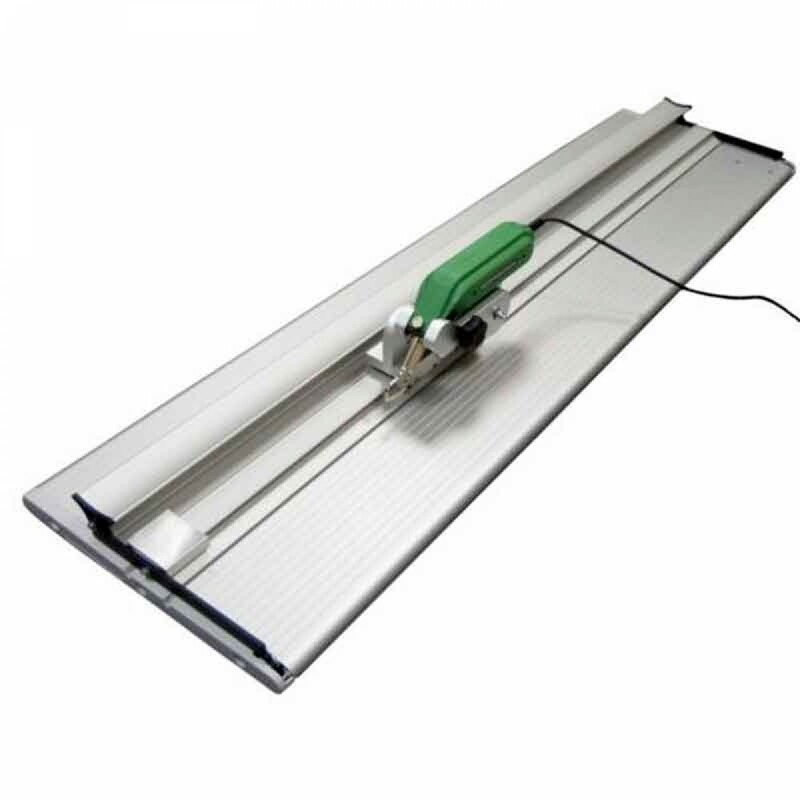 These AZTC Hot Cut System includes: Cutter bar, Heat Knife Carrier and Silicone tape. The Heat Knife cuts approximately 1/4" from the edge of the Sabre cutter bar, ensuring straight line cuts in the same location every time. Using the heated blades of the HSGM knifes, it can quickly cut and seal the edges of synthetic fabrics. Eliminate the time associated with cumbersome hand-cutting and final trimming of frayed or unraveled edges.The Heat Knife Carrier is safe to use. The heating mechanism is activated only when the spring-loaded trigger is depressed by a center post. As soon as it is released, the heating element automatically turns off. A left production stop also reduces contact between the warm Heat Knife and nearby materials.